This head support is a three piece pad system with the side pads attached to the middle pad with fixed angle brackets. This accessory offers the ability to provide greater lateral cueing of the head on one side or the other. A headrest hardware option needs to be ordered with this accessory in order for it to be mounted to the back support. BioDynamics manufactures a line of headrests which are a true complement to the line of seating and positioning systems. The line of headrests comes standard with a 1" layer of Sunmate foam and a covering material. Each material has properties which will make the selection unique for each clinical need (I.E.- constant friction, heat build up, etc...). Flat Headrest Pads are an effective means of protecting the consumer´s head/neck during bus/ambulette transportation. 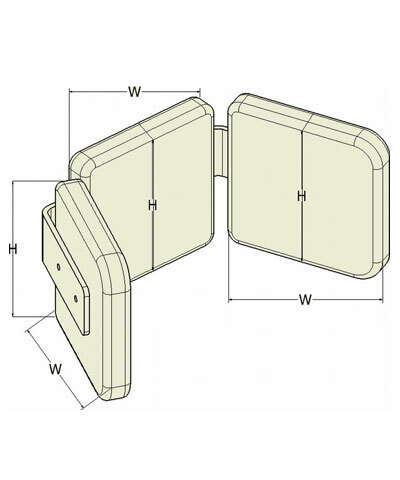 Typically ordered with the removable extension bracket, these pads can be easily removed while in school or at work and quickly attached for transportation. A headrest hardware option needs to be ordered with this pad in order for it to be mounted to a back support. BioCurve Headrest Pads are a contoured pad suitable for the client whose headrest needs will not be satisfied by the Flat Headrest Pad. This headrest´s function is enhanced with an optional occipital contour which will help maintain a neutral neck while supporting the head. A headrest hardware option needs to be ordered with this pad in order for it to be mounted to a back support. BioForm Cervical Control Headrest Pads are similar in support to the BioCurve pads with a cervical control component. The ends of the pads have a "tail" which reaches down from the head area towards the neck offering cervical control. 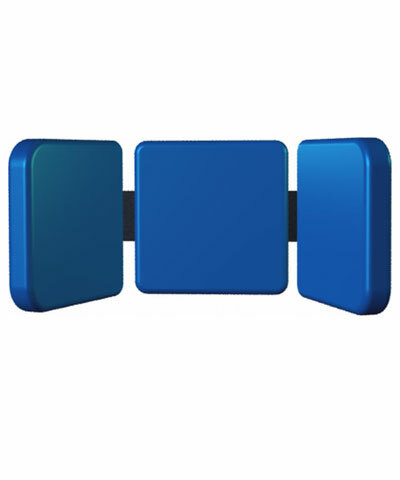 A headrest hardware option needs to be ordered with this pad in order for it to be mounted to a back support. BioTri-Pad Headrest Pads have the ability to offer differing levels of control on either side of the head. 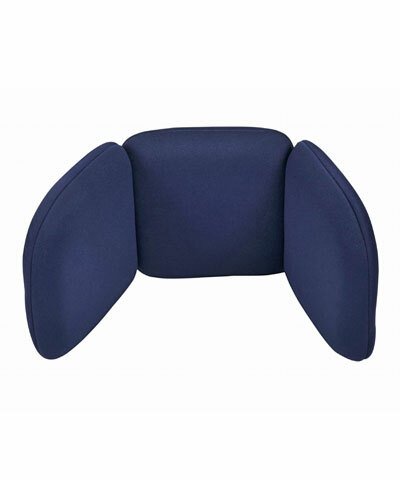 This headrest selection is offered with angle adjustable head wings or fixed head wings. With the angle adjustable head wings, the care taker can move one wing in towards midline more than the other. The fixed angle head wings offer a cost effective option to procure a Tri-Pad headrest when significant funding restrictions exist. This would be the best option for a head that tends to lean/roll to one side. A headrest hardware option needs to be ordered with this pad in order for it to be mounted to a back support.